This is one of the most popular retro arrangements these days. 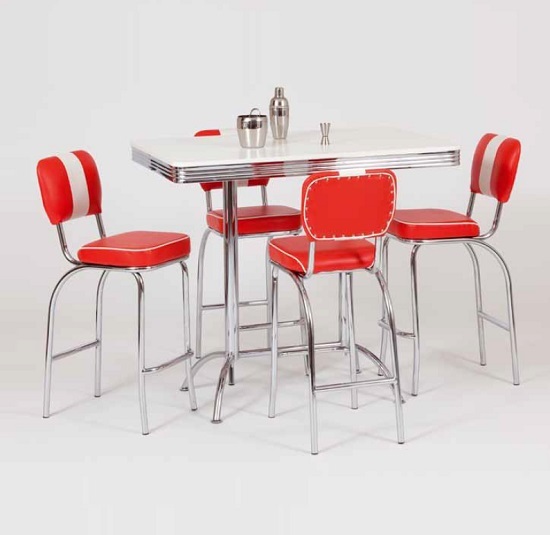 Light and space efficient designs make these retro dining tables practically time relevant. Sure, French furniture still has a distinct vintage look, but it is very stylish in contemporary apartments. Another type of retro furniture that has preserved some of its time relevance is Mexican style solutions. Featuring light natural wood shades and sometimes ethnic ornaments, Mexican solutions look most impressive in spacious rooms filled with natural sunlight. Spanish design, on the contrary, is characterised by dark and bulky look. No doubt, it looks incredibly rich and elegant — especially if you take care to optimise your lighting, but the solution is mostly suitable for really large rooms. Intricately carved mahogany is another popular suggestion on retro dining tables. The main advantage of going with this style is that it is going to be quite easy to find matching units. Sure, it is also a bit bulky, but if you look for matching items with glass inserts, sideboards and display stands will look more compact. Normally made of oak, American centennial furniture features an incredibly rich and homey design. Once again, this is not one of the most compact solutions, but it is definitely one of the most elegant ones. This is another example of a setting that is relatively simple to create. Fifties look and sweet design are great, and choosing matching furniture and accessories will not be a challenge. Finally, take a look at a couple of rustic furniture models. Sure, those are not exactly antique solutions, but rustic furniture has a distinct old-fashioned look, too. 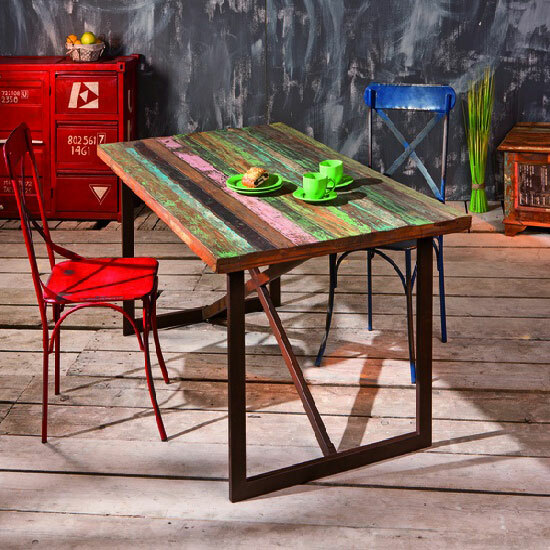 Also note that if you would like to purchase retro dining tables at a moderate price, it would be better to stick to big local platforms. Normally, the latter offer reasonable prices and quick delivery times. In the UK, a nice example would be Furniture in Fashion . 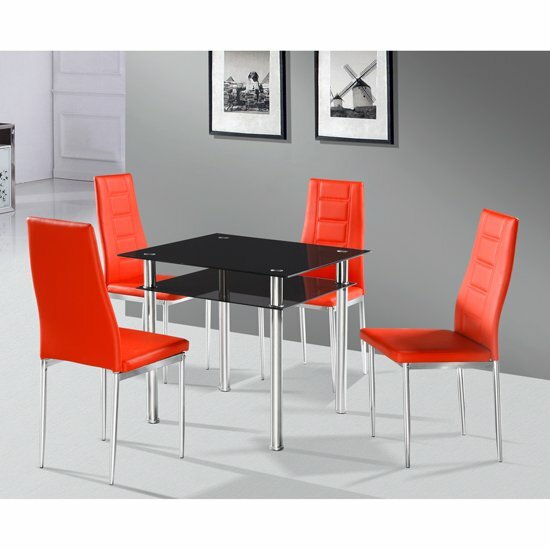 This huge local store works with the manufacturers directly, and even though its primary focus is on contemporary decoration solutions, the choice of retro dining tables is very impressive. Plus, this is truly one of the best platforms that keep their prices affordable and delivery times short. And, you are always welcome to visit company showroom in Farnworth if you would like to take a look at the table before buying.